In 2005, while thumbing through the pages of the thick Shonen Jump magazines that defined my early teenage years, I was introduced to the concept of shojo manga. Viz Media announced a sister magazine to Shonen Jump, named Shojo Beat, to focus on serializing manga for a teenage female readership. I thought it was neat, read the article, and moved on with my life. The genre seemed to be more about comedy and romance and less about sci-fi action fantasy adventure. Over ten years later, I finally picked up my first ever shojo manga: The Water Dragon’s Bride. I received a copy of The Water Dragon’s Bride Volume 1 courtesy of VIZ Media. The Water Dragon’s Bride by Rei Toma (Dawn of the Arcana) )tells the story of Asahi, a girl from modern times who is sucked through a tiny pond and taken to a mysterious land of the past. She is taken in by a village, but is quickly sacrificed to the Water Dragon God. After some deliberation, the Water Dragon decides to make Asahi his bride, but she’s not having any of that. Asahi quickly hatches a plan to escape the Water Dragon’s clutches and return home to her family. The Water Dragon’s Bride is an adorably sweet story. Taking cues from The Little Mermaid, we see a twist on the fish out of water story. Asahi is first taken from her modern day home, awakening in an unfamiliar and strange world. She is seemingly taken in by the parents of Subaru, the first person who found her who is also instantly smitten with her. However, she is quickly thrust into a sacrificial ceremony - and she’s the sacrifice. 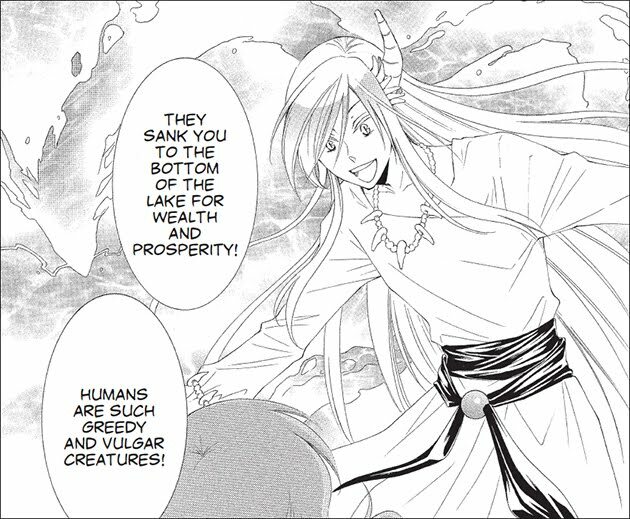 The interactions between Asahi and the Water Dragon God are intentionally creepy, albeit with a sense of fun to them. Asahi may be mesmerized by his magic, but she is still understandably not too keen on the idea of spending the rest of her life married to a water spirit. 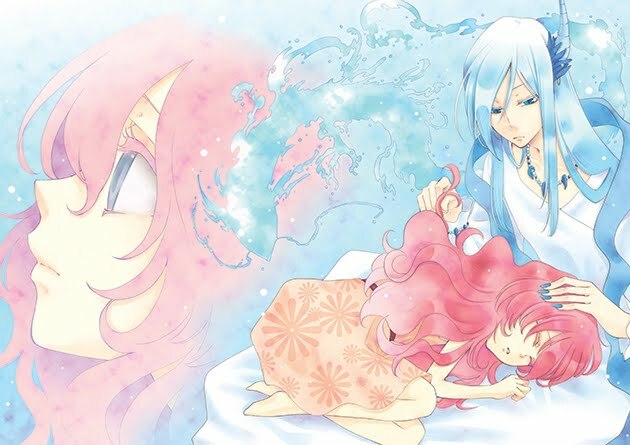 To teach her a lesson in Stockholm syndrome, the Water Dragon God takes away Asahi’s voice. Meanwhile, Subaru goes on a quest to rescue her from the Water God’s clutches. My main knowledge about shojo manga has always been that, aside from being girl-targeted romantic stories, the artwork is not what the average Shonen Jump fan would expect. The Water God is designed to be incredibly beautiful, resembling a pretty-boy Final Fantasy villain. Asahi is equally adorable, almost too cute to exist. With the story taking place more or less in two locations (the feudal era village and the underwater underworld) the story is driven by the characters and as such their facial expressions drive story’s emotions. The Water Dragon’s Bride is a simple yet wonderful tale. 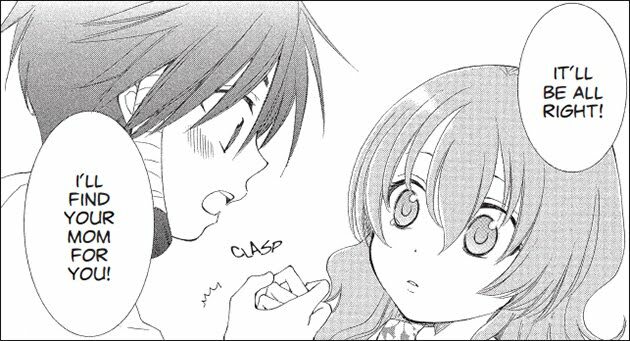 For my first shojo experience, I didn’t know what to expect, but I thoroughly enjoyed the story. I am curious where the story is going. Does she fall for the Water Dragon God? Or will she and Subaru escape together? 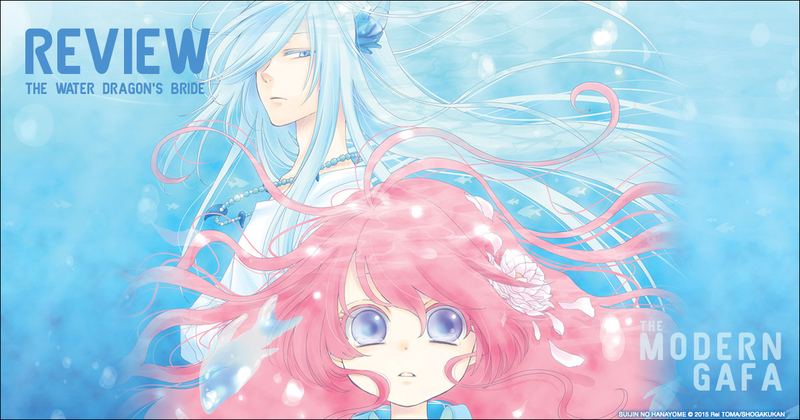 Find out for yourself in The Water Dragon’s Bride Volume 1 and Volume 2. And let me know what shojo manga I should check out in the comments!